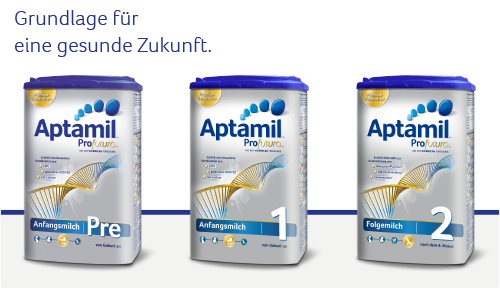 Aptamil - Als Grundlage für eine gesunde Zukunft. 1. Forsyth JS et al. (2003). Long chain polyunsaturated fatty acid supplementation in infant formula and blood pressure in later childhood: follow up of a randomised controlled trial. BMJ 326:953,1-5. 3. Liu L et al. (2014). Higher efficacy of dietary DHA provided as a phospholipid than as a triglyceride for brain DHA accretion in neonatal piglets. J Lipid Res 55(3):531- 9. 4. Wijendran V et al. (2002). Efficacy of dietary arachidonic acid provided as triglyceride or phospholipid as substrates for brain arachidonic acid accretion in baboon neonates. Pediatr Res.;51(3):265-272. 5. Willatts P et al. (2013).Effects of long-chain PUFA supplementation in infant formula on cognitive function in later childhood. Am J Clin Nutr 98(suppl):536S-42S. 6. Arslanoglu S et al.(2008). 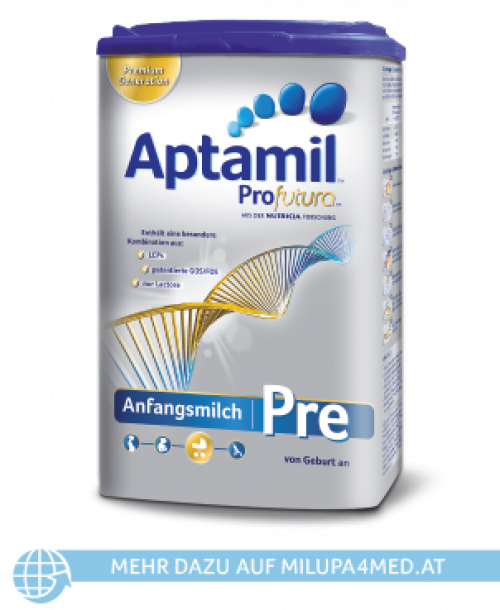 Early dietary intervention with a mixture of prebiotic oligosaccharides reduces the allergy associated symptoms and infections during the first two years of life. J Nutr. 138:1091-5.